I ART U: holiday cheer. these are some of the ornaments i've been making this year. 100% holiday cheer on this end! and guess what? i've made a few extras. check them out in the i art u holiday pop up shop. i'll be adding more goods as the days go by! what will grace your tree this year? wow Jen! you are creative!! heading over to your shop now! love how the tinsel and sequins sparkle!! you are soo cute and creative j!! i love it!!! and thx for visiting my blog! omg. 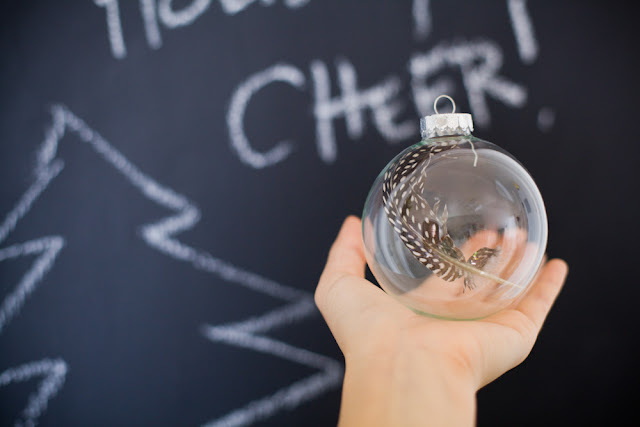 ornament + a feather = pure brilliance. so so lovely and delicate! I love the sequin ones. I might be stealing your idea, but giving you credit of course. It's so hard to find mistletoe! I may have to buy an ornament. Wow, these are awesome!!! 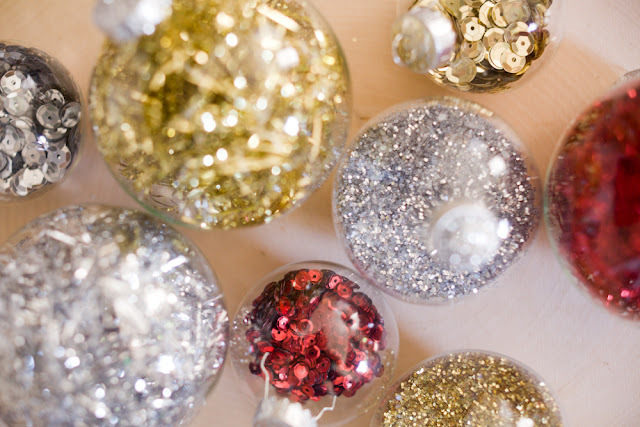 Kind of like sparkly, festive terrariums!